SKU: ZM50792. Category: Sports & Recreation. Tags: Ann Waterhouse, cricket, googly, knocking in, off drives, off-break, playing field, spin, swing bowling. This little book will give you a bit more of an idea of what is going on and help you gain greater enjoyment from watching matches in the future. 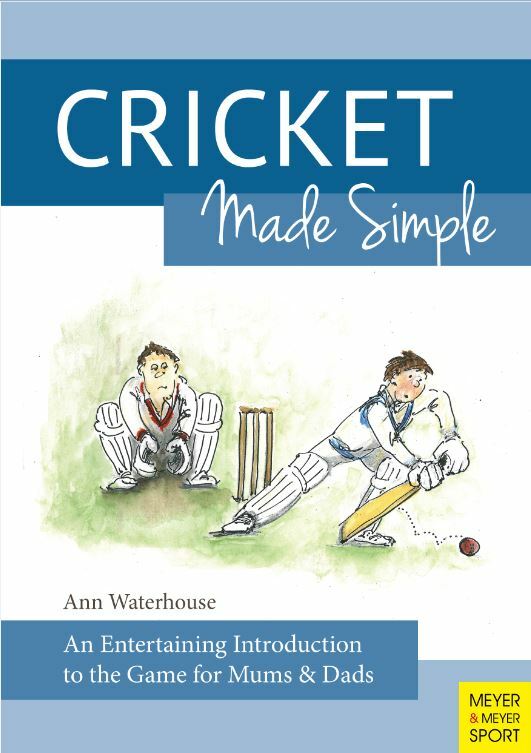 After reading Cricket Made Simple, you will be able to talk knowledgeably about spin and swing bowling, off drives, knocking in, and know the difference between a googly and an off-break. You might even enjoy the matches much more as a result. Just as well because they can take up a whole day at junior level, or up to five days for a Test match. The author, a mother who has spent many seasons at her sons playing fields, provides a complete guide to the intricacies of cricket for all those bemused supporters to whom this sport is a complete mystery. She also includes valuable advice on supporter etiquette and preparing cricket teas as well as dealing with the inevitable washing mountain. Cricket Made Simple is for all bemused supporters, male and female, who loyally turn out to cheer in all weathers. Ann Waterhouse started work in 1969 in the UK editorial office of an international oil magazine. A career in the media followed but the arrival of two sons gave Ann the opportunity to pursue her writing activities, initially as a hobby. Since 1994, she has been writing entertaining and informative guides to sports, aimed at parents, grandparents and friends who didn’t play the sports themselves. A team with thousands of enthusiastic fans, the Los Angeles Dodgers are hard to ignore. The 50 Greatest Players in Dodgers History, will be a perennial favorite. Looking to win the pennant under the direction of their manager, Dave Roberts, the Dodgers hope to rewrite their current standings in baseball history. With former professional athletes and personalities such as Jackie Robinson, Don Drysdale, Duke Snider, Roy Campanella, Greg Maddux, Kirk Gibson, Adrian Gonzalez, and Clayton Kershaw, the Los Angeles Dodgers have continuously generated a following that has few rivals in professional sports starting when they were the Brooklyn Dodgers. If you will be cheering on a rugby touch line this winter, mystified by the antics on the pitch, Rugby Made Simple is the book for you. Not only will it help to explain what is going on from the spectator s viewpoint it will also raise you several notches in your loved one s esteem. After reading this book you will be able to talk knowledgeably about tries, conversions and scrums, and know the difference between a ruck and a maul. You might even enjoy the matches much more as a result.